If you would like me to review your product (beauty, food or spirits, health, lifestyle, travel, tech gadget, etc. 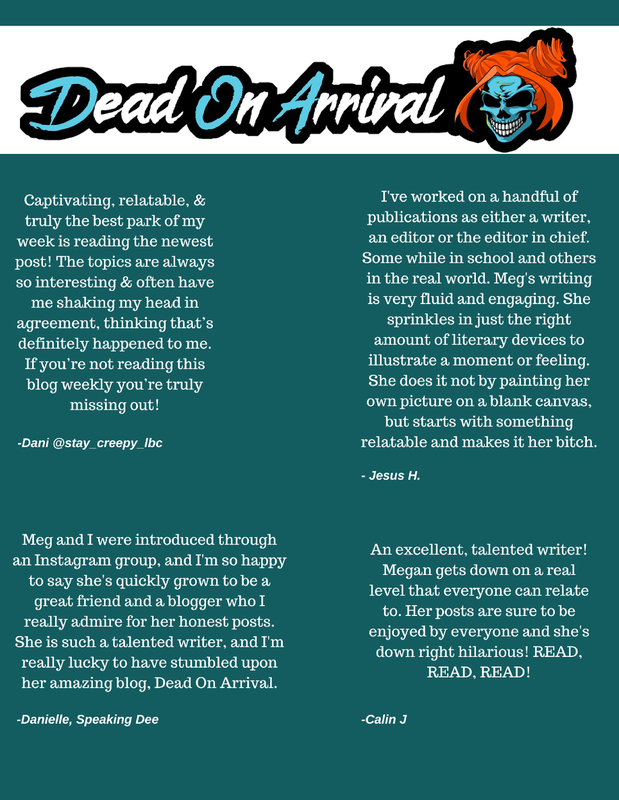 ), sponsor your giveaway or discuss a great deal, please email me: megan@deadonarrivalblog.com I promote all of my blog posts through social media, resulting in increased opportunities for views! Sunshine Blogger Award and Blogger Recognition Award. Over 10,000 Monthly Page Views in a matter of months. Over 1k Followers on Social Media. Access to a Press Event in the first month of Blogging.